TheBlueGuerilla: EXCLUSIVE: Wales Tory Youth Election Binned After 'Ballots Opened and Shared'. EXCLUSIVE: Wales Tory Youth Election Binned After 'Ballots Opened and Shared'. 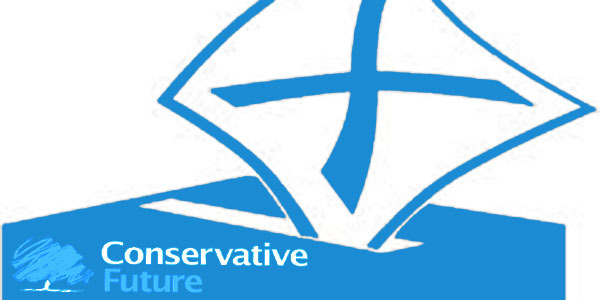 After reports of concerns about the legitimacy of Wales Conservative Future (CF) Regional Executive elections, tbg can reveal that sources confirmed today Wales CCHQ have "voided" the race after receiving several complaints from CF Wales members of "election rigging and opening ballots before the close of the vote". According to sources Wales Tory HQ had no control over the ballot email address account or the election and have carried out an investigation. A Welsh CF'er claimed - "If there was no malpractice then Wales HQ would not have dismissed and voided the election." One source sensationally told tbg - "Ballots were opened and shared. People were called up and told them how many votes candidates had and shared the way people have voted [sic]. At the moment there will be no Welsh regional executive until Wales HQ make a decision." A regional executive candidate source spoke to tbg in a wonderful Welsh accent and claimed that New Wales CF Chairman Christopher Harries - "Is like Del-boy from Only Fools and Horses. He wheels and deals you, takes you out for breakfasts with a pint but when you need a strong leader who will bring everyone together and follow the book. "Chris has made a right mess of these elections. Wales CF deserved better," the candidate added. One Welsh CF local branch chairman revealed to tbg that the election shambles may originate with Wales Tory HQ saying - "Frankly, the only reason it's being done in this way is because Wales HQ weren't interested in taking it on." "The Wales CF Chairman and I don't always see eye to eye on everything but I'd never imply he'd throw an election, neither would anyone else who knows him," he added. Some fellows in Swansea are playing a very sly game by the sound of the sheep speak in Wales. This really is a terrible way of communicating troubles and opinions. If you want to talk to anyone in the whole of the Wales CF group then just contact them. Doesn't need all this spin and rumour. Swansea is all ears, we know as much as anyone else. Swansea plays no sly game. As I'm sure tbg will confirm, I have been quoted in this article, however, mine was the second one; the one that backed Chris' position to the hilt. Having chaired Swansea CF for over a year, I won't have anyone tarnish my reputation, that of my branch, or that of Christopher when he's done nothing wrong. The only people being the sly game here are the people who are posting the articles and comments, but feel the need to hide behind a wall of anonymity! This election's been sewn up tighter than a little lamb's bumhole. What cover up will Crustopher come up with this time? Anyone who believes him is seriously brainwashed. Unbelievable story. Harries needs to step down before he does any more damage to Wales CF! The Blue Guerilla, heavier censorship than Stalinist Russia. Also, more biased reporting. Christopher has put Wales CF on the map. Shamed them all! The only reason Harries is putting Wales CF on the map is bad stories like this. He's moving from disaster to disaster! Needs to step down immediately and let somebody sound take over!